"Robert’s music is very honest, which is rare nowadays. The sound smoothly penetrates your eardrums and your skin, slipping into your mind. No matter how you put it, this music just makes the listener want to cuddle. Despite the simple accoustic sound, the composition never feels simplistic. Basically you could say that this is “gentle” music, but it is not straightforward / usual, which is interesting. “Forget me not”, which was the 2nd single, makes a whole story come to life although it’s less than 3 minutes. It feels like watching an entire movie. It’s my personal favorite. “Under Magnolia” is so lovely that it makes you smile without even noticing. After you listen to it once it seems to never leave your mind. 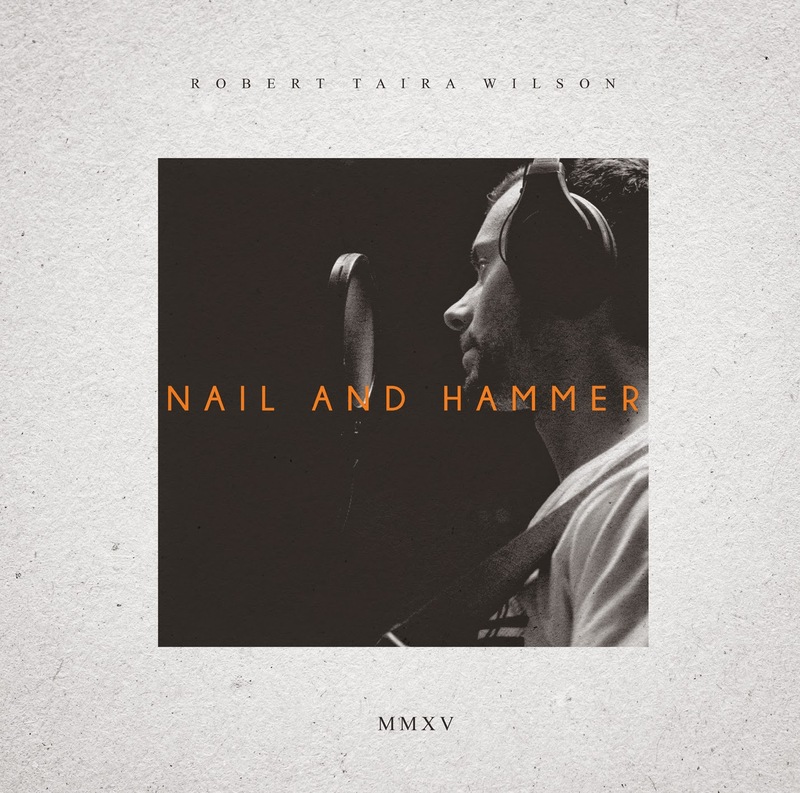 “Nail and Hammer” is the song after which the album was named. The melody riding the triple time beat is impressively delicate. The intimate woodbass and stylish piano work well too. The japanese title of “Kishibe” must designate some specific shore somewhere. I was immersed in the showering questions of the vocals. “Josephine” ‘s guitar line is just too good. Something makes me want to sing along, which is unusual. “Custard Town” : starting with a nimble guitar, the song develops pleasantly and you can’t stop listening. The charm of the mature and confident vocals is outstanding in this song. I would like to hear it live. “New sensation” is the last song of the album. This order is very clever… the fast pace and supple strength of this song makes you more powerful too. The litteral translation of “Nail and hammer” is “kugi to kanazuchi”, it is a perfectly suited name for this first album. Will he continue making such expressive music using the tools and materials of his personality ? I’m looking forward to it. Robert Taira Wilson is now in London, but he will come back to Japon in April. Of course I will continue listening to his album, but I also wish I can see him live ! That’s because his music feels just like waking up early, bathing in the rising sun, and taking a deep breath."